Special thank you gift for parents! Are you getting married or graduating from college and would like to thank your parents for all their help and support? Need a unique anniversary or thank you gift for Mom and Dad? 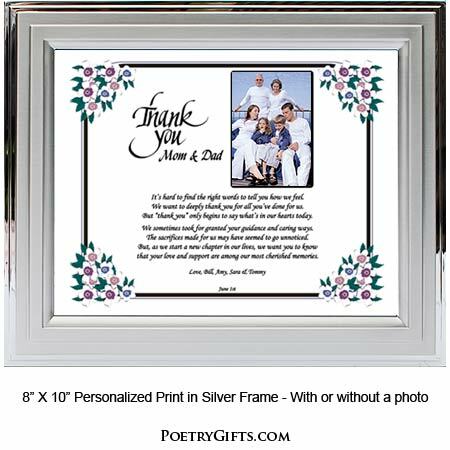 This keepsake is a perfect way to let them know how much you appreciate them. 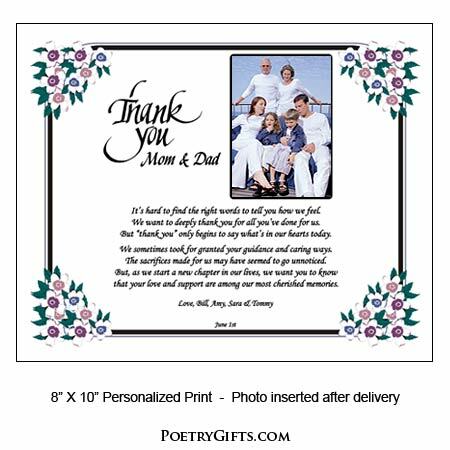 Need a special Thank You Gift for Mom and Dad for all they have done for you over the years? 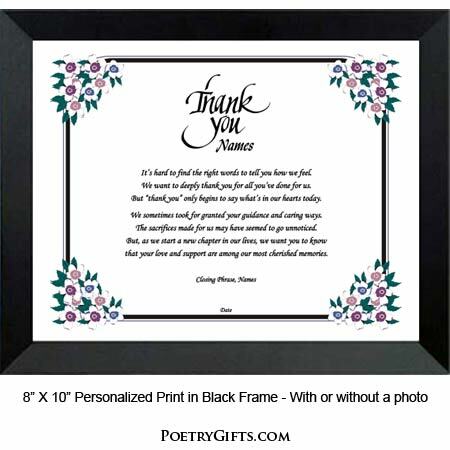 This beautiful four corner design with blue and purple flowers and loving poem makes a perfect thank you, birthday or anniversary present for your parents. When a favorite photo is added this Poetry Gift becomes an extra special keepsake. 2. 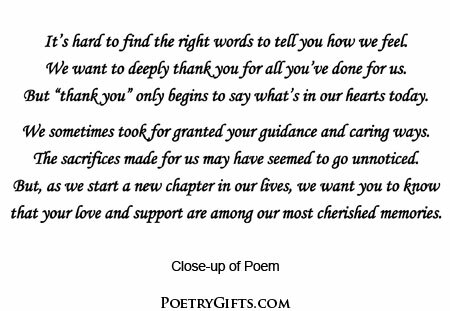 Closing Phrase and Your Name(s) as seen after poem - Examples: With All Our Love, Dave & Alison; Can't Thank You Enough, Your Son; etc.